Today, many of the most powerful and successful companies in the world are software and technology companies. Increasingly, we can see digital bringing transformation to almost every area of our lives, from how we work, to how we socialise. And on top of that, we’re seeing more powerful female leaders with a passion for technology and the drive to make a positive difference. There are various studies which show that companies with female executives in lead roles actually perform not just equally well, but better than those led by men. Some believe this is down to how hard most women in power work to become CEOs at all. 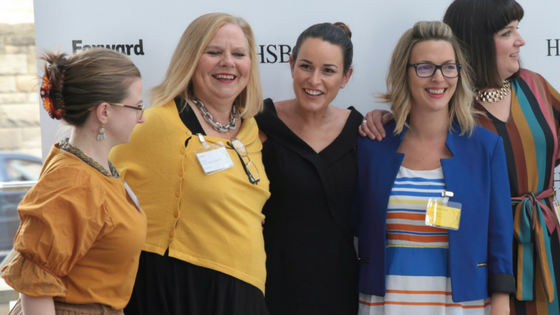 So why do female-led businesses tend to embrace digital? Emerging technologies such as VR, AI and robotics are gathering pace at an amazing speed, and companies of the future will be increasingly reliant on them. But on a day-to-day level, adopting some of these changes into the work environment can take time and practise to get used to. Even introducing a new piece of compulsory software, like Slack or Evernote, may take weeks for everyone to fully grasp and use effectively. To get staff happy and comfortable adopting new technology, continual training must be part of the company culture. Leaders must be able to instil in their staff a sense of excitement around the possibilities it brings, and get everyone working together to make it happen. Over the last 100 years, women have been working their way up the corporate ladder and coming into more positions of power. It’s been a slow burn, but a necessary one. And as the number of women in the workplace has increased, there’s also been a gradual, noticeable shift towards more satisfying, people-focused work environments. Companies run by female leaders, or with a number of women in positions of power, tend to not only have a better workplace culture with more flexibility and development opportunities, but are also more philanthropic and socially responsible. Interestingly, it’s these same attributes that millennials – who will form 75% of the workforce by 2025 – look for in a working environment. The increasing digitisation of our workplaces certainly brings a number of benefits, but at the same time, the rapidly changing environment described above can be stressful for employees as they work to adapt. To get the most out of digitisation in the workplace, companies need to have solid people-based processes – an area in which women often excel. Women are now starting businesses at roughly double the rate of men. Women make up 40% of new entrepreneurs in the US, and around one third of the UK startup owners. But we still have a way to go. For one thing, businesses owned by women tend to be smaller – Shopify stores and specialist agencies, for example. Those owned by men are 3.5 times more likely to reach $1,000,000 in annual revenues. Why is this? Because digital startups founded by men are 86% more likely to receive venture capital investments. By contrast, only 3% of venture capital goes to female CEOs. Women are 37% more likely than men to be self-funded. According to Nick Beim in Wired: “most venture capitalists haven’t internalised the success of female entrepreneurs to a sufficient degree to have it influence their intuitive pattern recognition”. 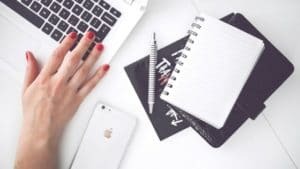 This, combined with some degree of reluctance on the part of female entrepreneurs to hand vast chunks of their business over to investors, is another reason why female-led businesses tend to embrace digital. Being at a disadvantage financially can actually benefit new businesses in a few ways. When you don’t have money to throw around, you’re forced to think of new ways of doing things: marketing, sales, internal processes, and so on. In essence, you’re forced to bootstrap your way to success. Women, to make some broad but not untrue generalisations, tend to have strong intuitions. We’re capable leaders and empathetic communicators, skilled at creating an inclusive environment for collaboration. We’re also good multitaskers. This makes us highly capable of using bootstrapping to grow our businesses and working with others to bring about the best outcomes. Digital is the perfect arena for bootstrapping, since the barriers to entry are low – compared to other fields, at least. As such, I expect to see even more female-led business embracing digital in future. Victoria Greene is a branding consultant and freelance writer. On her blog, Victoria E-commerce, she shares tips on social media, e-commerce, and how new business owners can apply the art of storytelling to their marketing campaigns.